WhatsApp's largest market is in India, where it has more than 200 million users. 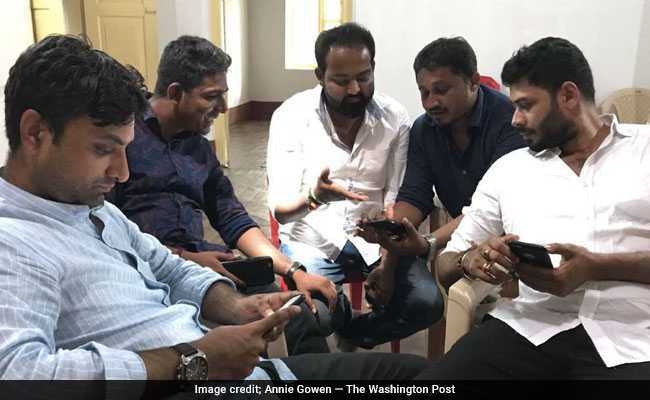 Members of BJP's social media team at election headquarters in Mangalore. MANGALORE: Forget debates and rallies. Elections in India are now fought and won on WhatsApp, the Facebook-owned messaging app that is used by millions of people here to make calls, chat and share information. In a high-profile state election here this month, seen as a preview of India's national election next year, the country's two major political parties claimed they each amassed more than 20,000 WhatsApp groups, boasting they could reach more than 1.5 million loyalists in minutes. But some of those messages have been false and inflammatory, twisting the words of political opponents and ratcheting up tensions between Hindu nationalists and the country's Muslim minority. India's "WhatsApp First" election, as it has been dubbed, comes at a time when parent company Facebook has been accused of undermining democracy by failing to control Russian disinformation, inaccurate news and hate speech. In developing countries such as Myanmar and Sri Lanka, false stories on Facebook have sparked riots, lynchings and religious violence. In the United States, accounts run by Russian operatives shared disinformation and divisive messages to up to 126 million people. Karnataka saw a high-pitched election campaign in the past few weeks. But activists in many parts of the world say WhatsApp - used by 1.5 billion people globally and known for its encrypted messages that even company executives can't read - presents an even greater challenge to democracy. "It is getting out of hand, and WhatsApp doesn't know what to do about it," said Nikhil Pahwa, a digital rights activist. "The difficulty with WhatsApp is that it's impossible to know how this information is spreading. It's very easy for a political party to spread misinformation and no one can trace it back to them." In places such as Brazil and Mexico, the app is the most common service not only for texting and calling between friends and family but also for businesses - from doctors to hair salons to news organizations - to communicate with clients. WhatsApp's largest market is in India, where it has more than 200 million users. Indians sent each other more than 20 billion New Year's Eve greetings via WhatsApp this year. And WhatsApp is testing a new payments feature to expand its reach. In India's election, Facebook has teamed with the fact-checking website Boom to review related content. Yet little has been done in this cycle to combat incendiary content on WhatsApp. Representatives of the messaging service were in India in recent days to meet with civil society groups and discuss next year's election. "We're working to give people more control over groups and are constantly evolving our tools to block automated content," a WhatsApp spokesman said in a statement. "In the run-up to next year's election in India we're stepping up our education efforts so that people know about our safety features, as well as how to spot fake news and hoaxes." Facebook executives have clashed with WhatsApp's leadership on a host of issues, including privacy and how to profit off WhatsApp's broad base of users. Its co-founder, Jan Koum, resigned last month in part over Facebook's attempts to collect more detailed information. In turn, Facebook executives have been frustrated over WhatsApp's inability to stem the tide of fake news or control illegal content shared on the platform. Prime Minister Narendra Modi, who marched to victory in 2014 backed by an unprecedented social media operation, has thousands of WhatsApp warriors running grass-roots groups. A review of their posts show some contain warnings about Muslims - a tactic to unite the loyal Hindu base. 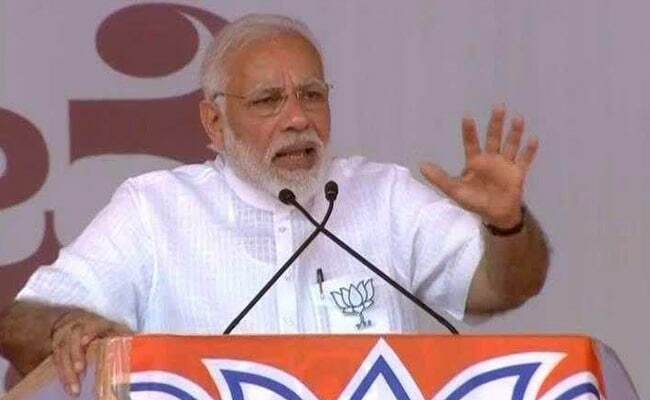 "Reaching out to each home and promoting one's manifesto is easier and faster than ever before," said Vikas Puttur, a spokesman for Modi's Bharatiya Janata Party in Mangalore. "We get to know the ground reality in moments." Puttur, 32, a polished MBA with roots in India's Hindu nationalist Rashtriya Swayamsevak Sangh, denied that the party spreads fake or religiously tinged material but said its main opponent, Indian National Congress party, does. Congress denies this, but its supporters have spread fake news about a BJP worker arrested with millions for voter payouts, among other falsehoods. Puttur played a widely circulated video of a Muslim politician from the opposing party, Zameer Ahmed Khan, translating Khan's fiery speech as a pledge to "butcher all the Hindus." In fact, according to an analysis by the fact-checking website Alt News, Khan said, "If I am made a minister, in five years I will do such work that my name will appear in the Guinness record." Alt News found that fake news had spiked from all political parties but "misinformation that is spread by BJP supporters on social media is often communal in nature." Asked about this discrepancy, Puttur said, "I have told you what he actually meant." In Colombia, a news website called La Silla Vacia launched a "WhatsApp Detector" last year, allowing users to submit WhatsApp messages to be fact-checked. Hotlines have been established by activists in Mexico and by the Egyptian government, enabling people to report stories they feel are false or, in the case of Egypt, that endanger "the nation's security or public interests." "Political parties in India have been using WhatsApp to organize for some time," the spokesman said. "This has all been done without help from WhatsApp. The Karnataka election is teaching us more about what's happening and how to help prevent spam more effectively." In early December, in the coastal town of Honnavar in Karnataka, the body of an 18-year-old fisherman's son named Paresh Mesta was found floating in a pond. Police believe he was swept up in a clash between Muslims and Hindus at a local temple. Rumors - repeated by prominent members of the BJP - quickly spread on WhatsApp that the boy's body had been mutilated, and riots broke out. "When he was found, he was mutilated, castrated, burnt by boiling oil poured over his head & his head split dastardly with a weapon," Shobha Karandlaje, a BJP member of Parliament, tweeted on Dec. 10. The state BJP issued a statement repeating Karandlaje's claims that jihadi "elements" killed Mesta and accused police of a coverup. Police took the unusual step of releasing the forensic examiner's response to these charges, who noted two abrasions that may have been the result of "blunt force trauma" but no other injuries. A religious tattoo said to have been scraped from his body was intact. In the small fishing village where Mesta's grieving parents still live, young men crowded around to show WhatsApp forwards they had received that fueled their anger - Karandlaje's posts, as well as a grisly video one onlooker took of Mesta's blackened body as it was pulled from the pond. Police ultimately arrested five Muslim men in the case, which was turned over to India's Central Bureau of Investigation, and later filed a complaint against Karandlaje for provoking enmity between religious groups. She declined to comment, but on social media vowed to continue her fight with the hashtag #HinduLivesMatter."